Just got word of this figure being put on reserves for pre-order. Like many, I'm a fan of the Shunya Yamashita figures. 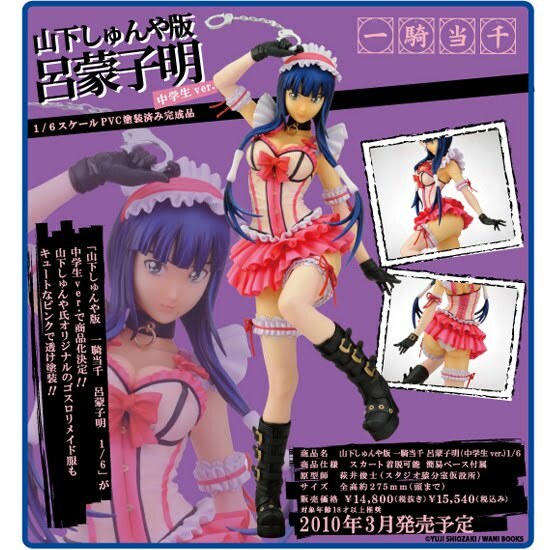 This one is most definitely one to add to the list, it just might cost much more than the usual ones though ^^;; At about 15,000 yen (~$170) it'll put a hole in the wallet, yet it looks to be worth it if you are looking for a larger Yamashita figure. This version of Ryomou Shimei will be a 1/6th scale so expect it to take up some shelf space. Not sure yet if I'll be stocking a bunch of her in the store but I'll see what I can do. She won' be around till around March in Japan and thus around April in the states so there is some time to save up your money for her...as long as you don't spend it all this x-mas season.